This is my all time favourite lipstick - I wear it with anything. Because of my snow-like complexion and brown hair, this really looks lovely. Mac is one of my favourite Lipstick brands and I love it. This is the 6th Mac lipstick I'd bought, and I've never regretted it. 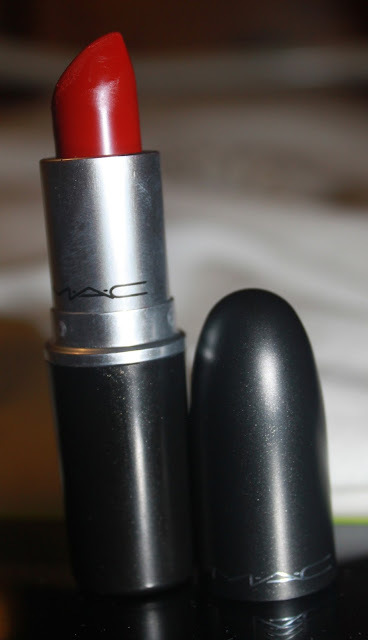 Mac do some gorgeous matte lipsticks, and this is one of them. It finishes into a non shiny, beautiful velvet looking finish. A red that's not too bright and garish but gorgeous and sultry. My top positive point about this is its staying power. It lasts for ages. For me I've found that matte finishes by Mac stay a lot longer in compared to others. This is a dream to wear, and always makes me stand out. This is my most used lipstick at the moment and still hasn't been used up yet!! 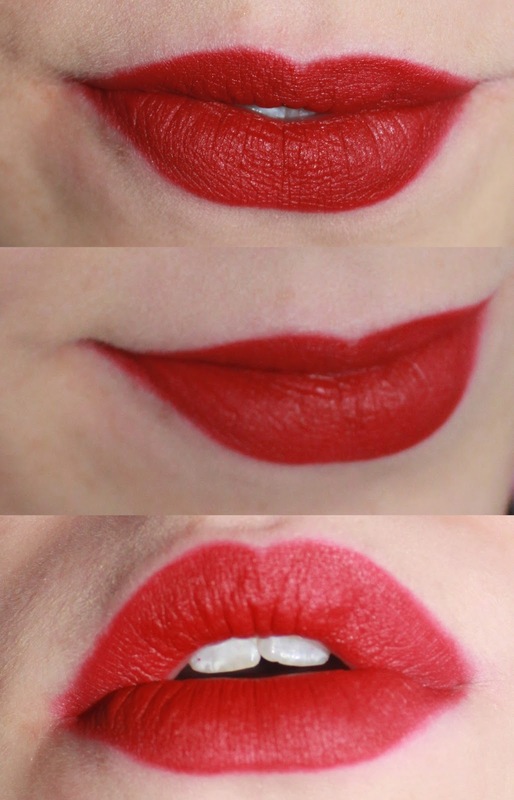 This is a winner for me, and I'm sure any red lipstick lovers out there will be in envy of this. Try it at your nearest Mac store now, or purchase online here in the beautiful shade Russian Red. Here below are some swatches. Let me know below what you think of Mac lipsticks, I'd love to hear from you. Thank you for reading! I love MAC lipsticks as much as I love NYX lipsticks, this reminds me of a matte NYX chaos lipstick. I keep hearing everyone rave about this red. I will have to buy it! This is one of my favorites MAC lipsticks. It was love at the 1st sight.